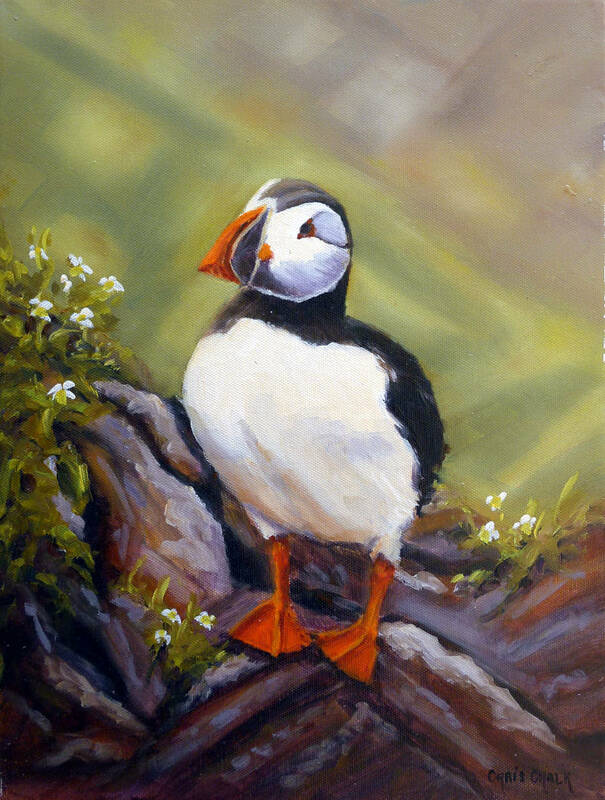 One of the UK's most charming birds, Puffins are one of my favourite birds to paint. This is one of the Puffins that live on Skomer Island, of the coast of Pembrokeshire, I'm not sure if I was watching him, or he was watching me, I like to think it was mutual respect anyway. 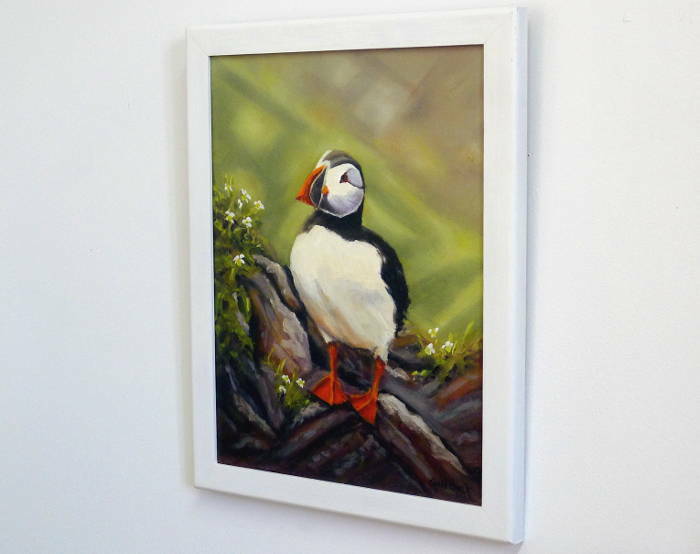 Painted on Loxley Gold stretched canvas, 16 inch x 12 inch x 1/3 inch - This painting can be framed or hung un-framed ( frame shown optional extra ).